The Board elects the Chairman. Board Members serve a three year term and can serve three terms of three years. Ana Christie has substantial business experience both in the UK and internationally. Her career began in aviation working both at Gatwick and Heathrow airports before progressing into hospitality for Marriott and Whitbread hotels, and subsequently managing the London Aquarium. Ana was executive vice president of an executive recruitment and human resources consultancy in the Philippines before working for the British Deputy High Commission in India in entry clearance (visas and immigration). On her return to Britain, Ana joined the pharmaceutical industry managing a team of project managers. Ana advanced her career by joining Sussex Chamber of Commerce in May 2014 as Chief Executive. David Sheppard joined the Board of Sussex Chamber of Commerce (Sussex Enterprise Ltd) in January 2013, became Chairman in April 2015, and lives and works in Hove. He is a Founder Director of D-RiSQ Ltd (2012- ), a Worcestershire based SME which is changing the way the world develops systems and software. D-RiSQ provides consultancy, and is developing automated tools, to ensure that systems are fault and bug free and the requisite evidence is provided to the regulatory authorities. Prior to this David was the COO at Ricardo UK Ltd, the Shoreham based automotive consultancy and manufacturer (2011-2014), Managing Consultant at QinetiQ (2009-2011) and the VP of Business Development for Proudfoot Consulting, the business transformation specialist (2005-2009). 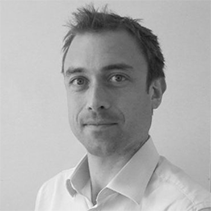 Before moving into the Consultancy field David had a career in Aerospace, Defence and Marine. He was Managing Director of Thales Airborne Systems and Racal Defence Electronics (2000-2004) based in Crawley and before that MD for Smiths Industries based in Cheltenham and North East London. Graduated as an electronics engineer and business economist, David is an alumni of the London Business School and has a special interest in international trade. He is a keen golfer and an enthusiastic spectator of Sussex sports teams. Rhonda has worked in the manufacturing sector for over 25 years. As Managing Director of TECO Building Products, her enthusiasm for manufacturing, continuous improvement and drive in change management has led the company to achieve significant growth and business awards recognition including Chambers Regional winner for Commitment to People Development. Martin Bannister is a cybersecurity specialist with over 30 years of experience. He is Managing Director and founder of Kogo Ltd; an IT managed service provider, and cybersecurity business focused on SME’s. He has been running Kogo for almost two decades, and still finds time in his busy day to provide personal support to clients. He also provides vCIO (Virtual Chief Information Officer) monthly services at various SME’s across the South East. He is a skilled speaker and delivers educational seminars and workshops on cybersecurity and IT threat awareness across Sussex. 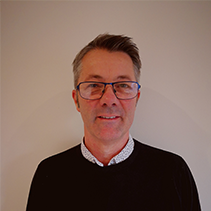 Martin joined Sussex Chamber of Commerce as a Board Member in late 2018 and active in the IT community as a member of the CompTIA Executive Council. Living with his two sons, wife and black labrador in East Grinstead, he can be found on Saturday mornings coaching his son's football or walking Poppy on the Forest Way. 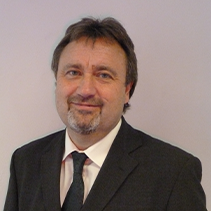 John Bullivant led an MBI at PSM Instrumentation in January 2013 where he is now Managing Director. PSM is a manufacturer of marine equipment based in Haywards Heath. The business was sold to the Swedish Group, Scanjet in March 2016. He has an MBA from the University of Reading and is a Chartered Director. John has more than 30 years General Management and Business Leadership experience with Barco, SEOS, Paxford Composites and Application Solutions. In 2004 John led an MBO at SEOS, a simulation displays manufacturer, which was sold four years later to a US corporation, Rockwell Collins. He is a Fellow of the Institute of Directors and the Royal Society of Arts, and is also a Director of the Society of Maritime Industries. John is married and lives in Hassocks, West Sussex. He has two children. His hobbies include music, travelling, football, running and skiing. Born and bred in Sussex, I have spent my entire working life with Nat West Bank. I have worked across Sussex and Kent and in London before taking on my current role as Commercial Banking Director for East Sussex in 2010. The majority of my career has been spent working within the SME space and I have supported start-up businesses through to established large commercial entities. I currently lead a team of ten relationship managers based from two offices, one in Brighton and one in Eastbourne, with responsibility for the portfolio of commercial sized customers (£2m to £50m turnover) based in East Sussex. The key element of my role is supporting the team as we put together bespoke banking solutions for both existing and new customers. Outside of the office I enjoy keeping fit and regularly run the Brighton Half Marathon. 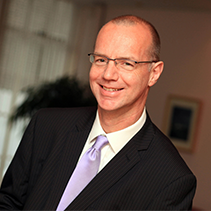 Rob is a Chartered Banker with over 30 years’ experience of working with and supporting growing businesses. He is co-owner and founder of Innovation Capital Team LLP, a corporate finance and consultancy firm focused in the tech and digital space. 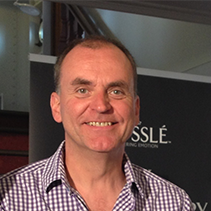 Rob holds a number of director and advisory roles in the UK from food brands to fintech. 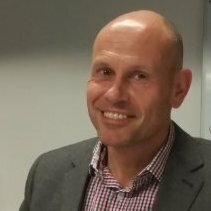 Andrew Hookway is Founder and Managing Director of Extech Cloud, a multi award-winning IT managed service provider, based in the company’s headquarters in Burgess Hill. 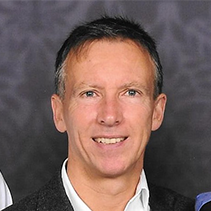 Andrew has over thirty years’ experience in the technology sector, gained at an executive level within various large brands including Fidelity International and Colt Telecom. Andrew has a passion for humanising IT and making it more accessible, placing a high importance on mentoring the younger generation on the science and technology aspects within his industry. 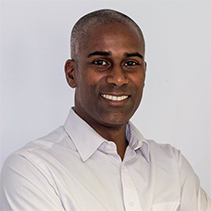 Lee has a background in sales and marketing, with over 25 year’s experience in business development and digital media. His company 3D Media Solutions specialises in 3D and Virtual Reality across a variety of sectors including Construction, Leisure, Commercial property and content for social media and websites. Lee is helping businesses embrace and understand the growing presence of Virtual Reality and Augmented reality, tailor making and providing time and money saving processes to suit companies from health and safety through to marketing and SEO advice for web presence. Lee runs 3D Media Solutions with his wife Victoria in Brighton and between them have three children aged 10, 8 and 2. Dean Orgill is a Partner and Chairman at Mayo Wynne Baxter, where he has worked since 1987. Having led the litigation department and been part of the executive management team for many years Dean became Managing Partner of Wynne Baxter Godfree in 1999. He has been since been involved continuously in the management of the firm, becoming Chairman in 2011. In the wider business community Dean Chairs the Brighton and Hove Economic Partnership and sits on the Greater Brighton Economic Board. 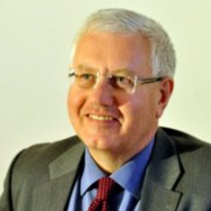 He also chairs the committee of the Institute of Directors for Sussex (being elected a Fellow of the IoD in 2015). For over three years Dean was a Director of the Gatwick Diamond Initiative Limited (where he chaired the Inspire group focussing on training and skills). Dean has also received the Business Matters Business Personality of the Year Award in recognition of his proactive involvement with Sussex business community. 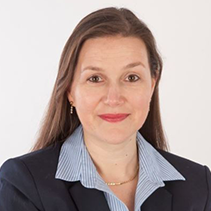 Melanie is the Managing Partner at Swindells, a boutique accounting and tax advisory firm located in Sussex. Over the past 15 years she has specialised in corporate finance and audit, with clients ranging from small local businesses to large multi-nationals. Prior to taking over the reins at Swindells, Melanie trained as a Chartered Accountant at a top firm in the City and when qualified, became an audit manager. She was headhunted to become the group financial controller for a London based restaurant company, which then went on to build a health and fitness facility and purchase the Groucho Club in Soho. 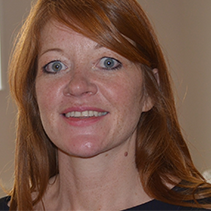 Alongside her professional responsibilities, Melanie is also a Director of the Sussex Chamber of Commerce and Chair of the Board of Trustees at Spotlight YOPD, a charity aiming to raise awareness of Young Onset Parkinson’s Disease. Dan has worked in education, social and economic regeneration in the Sussex area for over 15 years. Dan has successfully led on significantly growing Ofsted graded Good Apprenticeship delivery, establishing the University Centre Hastings and successfully led external partnerships and relationships, marketing and International business for the college since joining from City College Brighton & Hove in August 2012. In his spare time Dan enjoys spending time with his family, running and is a long suffering Derby County FC fan. 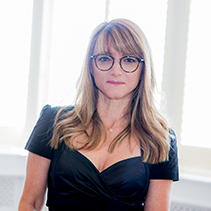 Penina is an award winning entrepreneur, the author of the inspirational book The Freedom Revolution and founder of innovative Law Firm ACUMEN BUSINESS LAW listed by the Financial Times’ Top 50 Groundbreaking & Innovative Law Firms in the UK and Europe. She set up the firm on her own, from a complete standstill, at the start of the worst economic climate in decades, with a shoestring budget, in an industry that doesn’t welcome change, but with an abundance of passion for making a difference in her industry. Her revolutionary vision, innovation and business model have been remarkably successful now with a great team of commercial lawyers in Brighton & Gatwick. 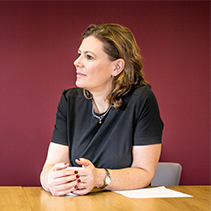 More recently, she founded ACUMEN PEOPLE for the private client sector, specialising in residential conveyancing and other personal legal matters. Both firms incorporate her vision and passion for being innovative, democratically run, providing top notch support and happiness as key. Harry Sherrard is a lawyer and entrepreneur who has lived and worked in Sussex for over 30 years. 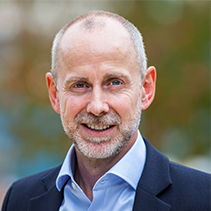 Harry is the founder, principal lawyer and CEO of Sherrards, a specialist employment law, occupational health, training, resourcing and HR consulting practice, with a national and international client base. He is a graduate of Henley Business School. With a lifelong passion for business, Harry has a particular interest in small business start-ups and in encouraging employers to engage apprentices, and in his role at Sussex Chamber will focus on these areas, in addition to corporate governance responsibilities. Harry has also enjoyed a successful career in motorsport, including racing in the Goodwood Revival and the Goodwood Festival of Speed, and published his motorsport memoirs in a well-received book, “Taking Part”. This has led to speaking engagements, at which he entertains audiences with stories of his diverse motoring adventures around the world. Andy Wheeler, director of Catandra, is an expert in his field. In his role he partners with many types of businesses to help them develop their strategies through consultancy and talent acquisition. 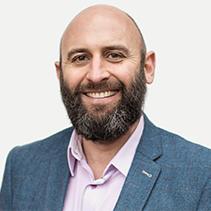 Having worked with both multi-nationals and fledgling start-ups Andy’s approach is tailored to the needs of each individual business but core principles remain: putting the best people at the heart of your business to serve your customers. The working world is ever-changing and attracting and retaining excellent team members is harder than ever. For Andy, tackling the skills gap is a priority; he believes businesses need to develop their people and skillsets in order to create a pipeline of talent to secure future growth.